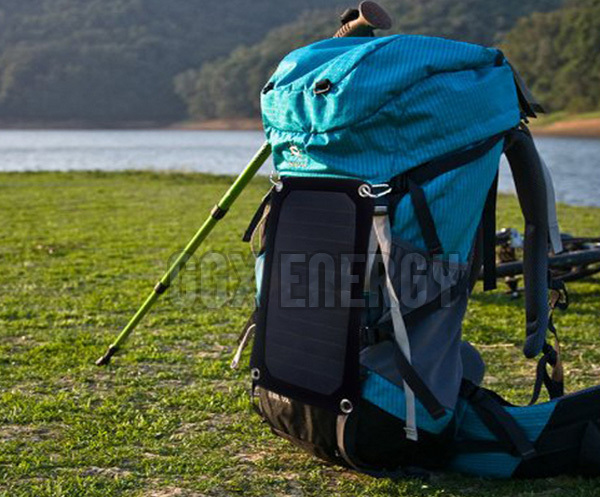 Super light weight, only 176g, almost half weight than general mono solar bag. 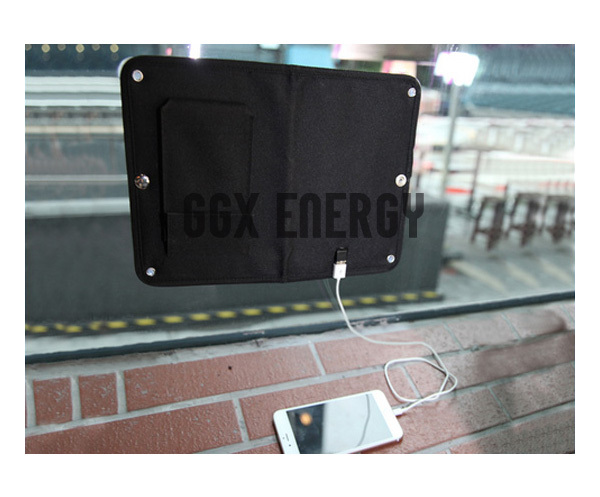 A large zipper grid pocket for holding accessories, the grid format good for heat dissipation for protection when the phone put in pocket. 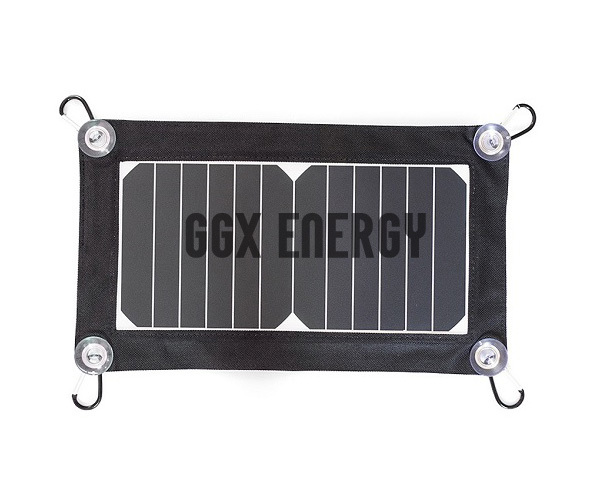 Light weight and portable 6.5 Watt Solar Panel Charger, great for camping, boating, hiking and more! Standard USB 5V socket: to charge cell phones, power bank, GPS, Game Player, Blue tooth, etc. 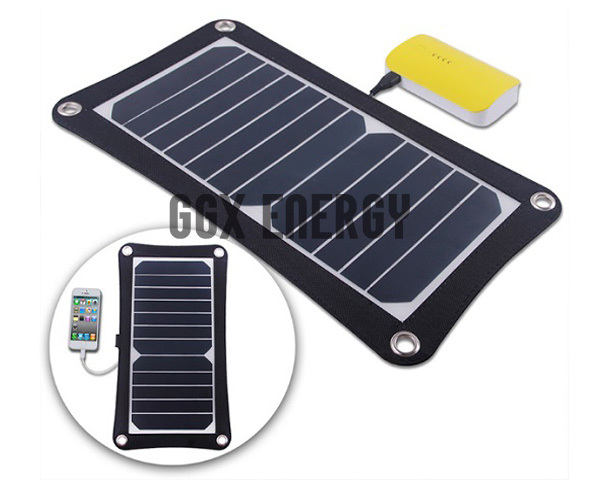 Working as soon as sunlight available, no needing battery. 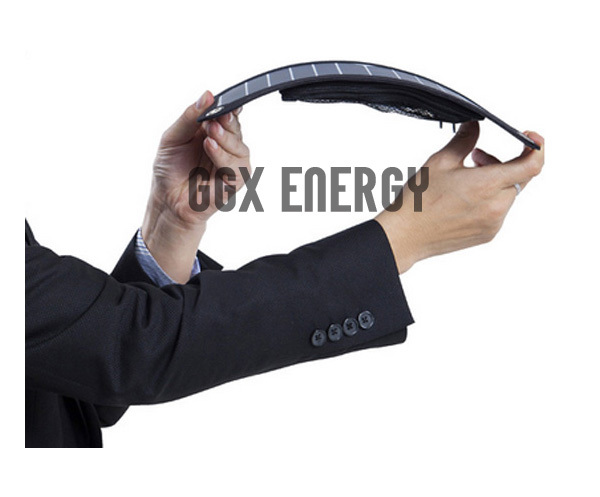 But please make sure the sunshine is bright enough to let the solar panel work normally.